Aniframes Mysore, Karnataka The institute provides education in arts, animation and multimedia along maintains a studio of its own and directs students in the path of creativity and originality. Global Institute of Gaming & Animation Chennai, Tamil Nadu The Institute has experts who guide the students in the direction of free thinking and concept building with the help of technologies and software available with them. 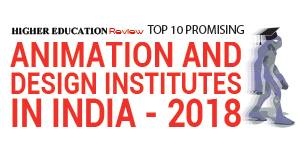 Indian School of Design & Innovation Mumbai, Maharashtra Providing students with training in critical thinking, liberal arts, skill training and master classes, the institute has taken the oath to enhance the skill of the students in commercialization of design. International School of Design New Delhi, Delhi The institute provides pitch perfect training to the students in designing, through which aspiring designers can initiate their own start-ups and achieve success in it. Maya Academy of Advanced Cinematics Bangalore, Karnataka The institute has world - class infrastructure and provides latest software trainings and is the learning center for 3D animation, VFX, multimedia and design, and gaming. Pixels Academy Hyderabad, Telangana The institute provides training in special effects, animation, and gaming, where the students get a chance to interact with the personalities who have worked in the Hollywood. Red Pixels Hosur, Tamil Nadu The institute awakes deep buried creativity and re-installs the ability in a person to make their imagination produce magical results providing training with the latest software. Toonz Academy Thiruvananthapuram, Kerala The training division of the famous award winning animation studio - Toons Animation - the academy focuses in bringing out the best from a potential candidate by providing training in Animation Film Making, Gaming, Visual Effects, Graphics and Multimedia. Whistling Woods International Institute Mumbai, Maharashtra With their vision of promoting individuals possessing a curious mind, innovative thinking capacity and visualizes creatively, the institute makes their students industry - ready and employable. 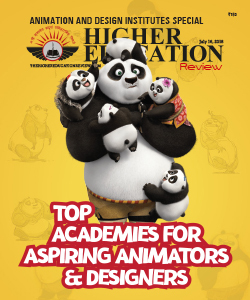 Yellow Tree Academy Coimbatore, Tamil Nadu Managed by award winning individuals, the academy makes their students ready for animation and visual effect industry.